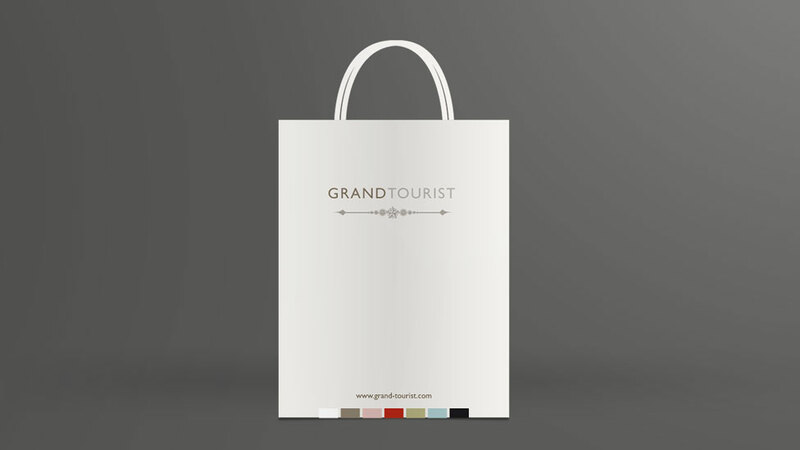 Having worked with Parker Design since their foundation, Grand Tourist came to us to produce a premium feel carrier bag design they could use as a take-away item at exhibitions. Our design approach is rooted in a mixture of classical simplicity and contemporary touches, giving the carrier bag design an immediate premium feel. The bag includes information sheets, mini brochures and contact cards detailing the options and benefits of Grand Tourist’s luxury tailor-made holidays. Made of paper, and with twisted handles for strength, the carrier bag design features the company’s distinguished logo and branding colour strip. Original, visually impactful and easily memorable, this collateral design refines and simplifies the complexity behind supply chain and logistics, maximising our client's investment in a wide range of trade shows at home and abroad.